John Hoffman's father made it to the majors in two brief stints with Houston in the 1960s, part of a career that spanned seven seasons. Hoffman followed his father to the pros, but he couldn't follow him to the big leagues. Hoffman played four seasons. But the second-generation pro never made it AA. Hoffman's career began in 1987, taken by the Mariners in the 41st round of the draft out of Ballard High School in Seattle. Hoffman played as a catcher, the same position his father once played. Baseball Reference even has Hoffman under the nickname his father had. The father's nickname is listed as Pork Chop, while the son is on the site as Chop Hoffman. At Ballard, Hoffman gained the notice of scouts by winning league MVP honors and making the all-league team three seasons running. He also played in the Dizzy Dean World Series in 1986. He started with the Mariners at short-season Bellingham, where he played along side another new Mariners draft pick, Ken Griffey, Jr. Hoffman played in 37 games that year and hit .124. He moved to single-A Wausau for 1988. He hit .244 in 70 games. Hoffman played 1989 at single-A San Bernardino, but only saw eight games. 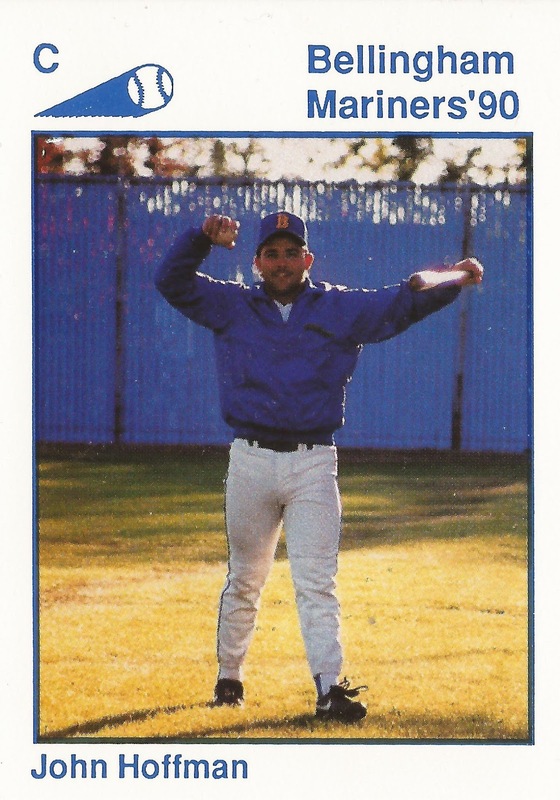 Hoffman returned to San Bernardino for 13 more games in 1990 and to Bellingham for four to end his career.